Practice, well, doesn’t make perfect. But it’s time to get back to drawing as summer starts to wind down (how is that possible, the eternal refrain of every year, although this year it does seem to be a endless summer as the dry spell shows no sign of abating and forest fires continue to rage). 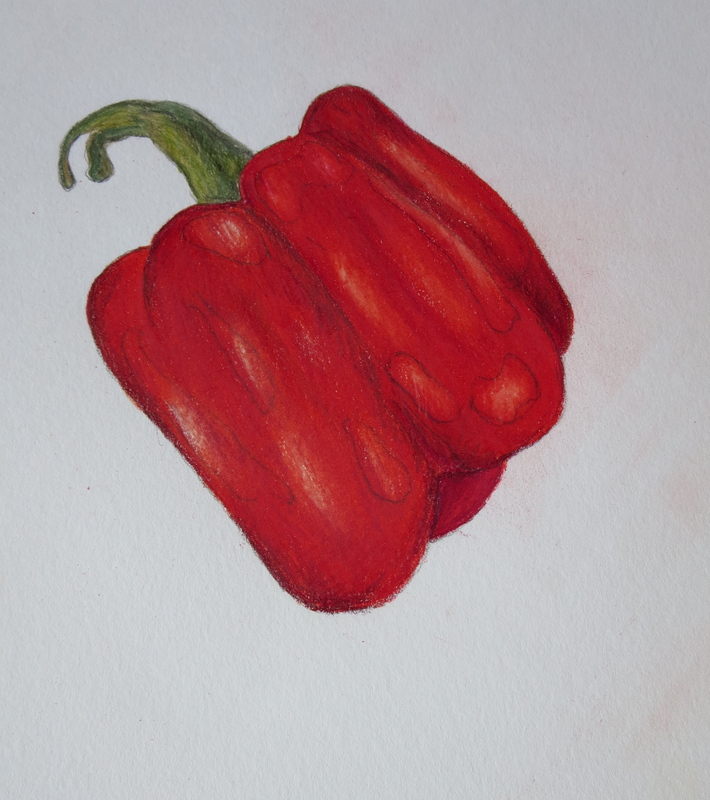 I attempted to draw a pepper. I sketched in the highlighted areas and unfortunately the pencil marks showed through, but that in itself is a great learning experience. Love your drawings, more please!